The Battle of the Clogs, also known as the Battle of Koge, took place in Denmark in 1807 when British and German troops under Sir Arthur Wellesley defeated a Danish force trying to defend Copenhagen which was being besieged in an attempt to persuade the neutral Danes to hand over their fleet to the British in order to prevent it falling into the hands of the advancing French. The campaign was seen as an unpleasant necessity but was not popular in England. The following is an excerpt from An Unwilling Alliance, set during the campaign. In the huge market square he found more of his men guarding increasing numbers of prisoners. 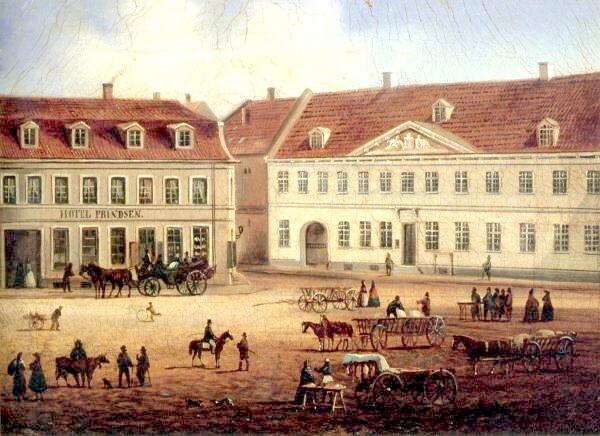 Some of the Danish troops had taken refuge in the buildings around the square. There were a few desultory shots fired, with no accuracy, but these were dying out now. The hussars and many of the 92nd had moved on through the town, chasing the remaining defenders south towards the bridges. The 52nd was moving around the square, battering on doors and clearing out small pockets of resistance in public buildings. They seemed very controlled and very disciplined and Paul left them alone and led his men over to the town hall where Danish troops, clearly out of ammunition, were throwing missiles down on the heads of a few members of the 43rd who were trying to batter down the door. A red-haired captain was leading them. Paul approached him, dodging a wooden stool which crashed onto the cobbles beside him, narrowly missing him. The captain saw him and saluted. Carl moved back quickly, avoiding a bucket hurled from the upper storey. He raised his voice and shouted up to the men at the windows. Paul waited. After a moment there was an enormous crash and his lieutenant jumped back to avoid the splash from what was clearly a chamber pot. It shattered on the stones and the smell of urine and excrement filled the air. A voice shouted back down and Paul raised his eyebrows to Carl who shook his head. Paul looked around. More and more prisoners were being escorted into the square. He could see scattered weapons, discarded by the fleeing Danes, and poignantly, a selection of wooden clogs. In their haste to escape, the irregular troops had thrown aside weapons, if they had them, and kicked off the awkward wooden clogs to speed their flight. Some of the men now under guard were barefooted. 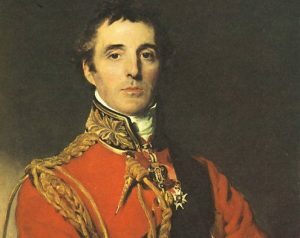 “Where’s General Wellesley?” he asked. O’Reilly turned, calling out orders, and Paul watched as the men began to gather the splintered and broken furniture. O’Reilly carried a bench towards the solid wooden door of the town hall. O’Reilly turned, surprised. Paul was looking up at the windows of the town hall. A lone officer, hatless and fair-haired, his coat soaked in blood, stood looking down at him and Paul had a strong sense that the man had not needed Carl’s Swedish translation. Paul met the other man’s eyes for a long moment. The Dane was probably about his age, surrounded by his men, desperate and angry and determined and Paul hated himself for what he was about to do. He had seen the flutter at the window of the neighbouring house earlier, gone almost before it was visible, but he was very sure it had been a woman’s face. There had been no sign of a woman or child in the chaos of the battle through the streets. He suspected that many of them had taken refuge in nearby churches, but not all. Still looking up at the officer in the upper window, he pointed to the house. Paul suddenly wished that he had not chosen Michael O’Reilly for this particular task. His sergeant ought to know him better, but he realised, seeing the expression on the Irishman’s face, that he had seen too many cottages and churches burned out in his native Ireland by the English and should not have been asked to carry out a similar order here in a neutral country. But it was too late and Paul could not back down without alerting the Danish officer. The colour had drained from Michael’s face and the dark eyes were fixed on Paul in mute horror. Paul looked back at him steadily. “Get on with it, Sergeant,” he said. O’Reilly turned away, carrying the bench over to the house and his men followed, piling the broken furniture against the door. Long minutes passed and Paul could feel his heart hammering in his breast, his nerves stretched to breaking point, waiting for the officer to crack. The sound came, not from above, but from the prisoners in the square, a high pitched yell of horror, a plea in a language Paul did not understand. He did not need to, to grasp the man’s terror. He was shouting, running forward, calling up to the men at the window, gesticulating in the direction of the house and Carl Swanson moved to catch him, holding him back, speaking to him in Swedish. Paul had no idea if the prisoner understood, but suddenly there was movement in the town hall and a weapon landed on the cobbles, a gun, useless with no ammunition, but a symbol. More followed. Paul looked up at the fair haired officer again and recognised sheer hatred in the man’s eyes. Slowly and very deliberately, the officer reached for his sword. He unbuckled it and held it out, dropping it to the street. It hit the cobbles with a ringing sound. “Yes, sir,” Wheeler said quietly. Paul stood watching as his men moved about their duties. They were unusually quiet and he understood why. He had shocked them and he knew it. He had shocked himself. If the fair-haired officer had held his nerve, Paul knew that he would not have given the order to light the fire that might have killed whoever was hiding in the half-timbered house but even making that threat was unlike him. He had been desperate to end the slaughter and had found, instinctively, the way to do it, but it was going to be hard to live with for a while. The Danish prisoners filed out of the town hall under careful guard. Paul stood watching them. Most of them were looking at the ground, not raising their eyes. A few shot quick glances over at the other house, now with half a dozen of his third company stationed on guard. The Danes were calm and silent. These were regular troops in full uniform and they had held out to the bitter end. Paul watched them go past to join the other prisoners and was glad it had not ended in slaughter. The fair-haired officer came last and he was injured, worse than Paul had realised from below. He was supporting his right arm with his left and was soaked in blood. The voice was heavily accented but very clear. Paul took a step towards the officer, intending to look more closely at the wound and the man spat, hard and accurate, directly into his face. There was an audible gasp from several of Paul’s men. Paul looked into the other man’s eyes and thought, inconsequentially, that the colour was like his own. He wiped the spittle away on his sleeve without looking away. “I’ll send the surgeon up to you then when he gets here,” he said evenly and turned away. Paul did not turn. 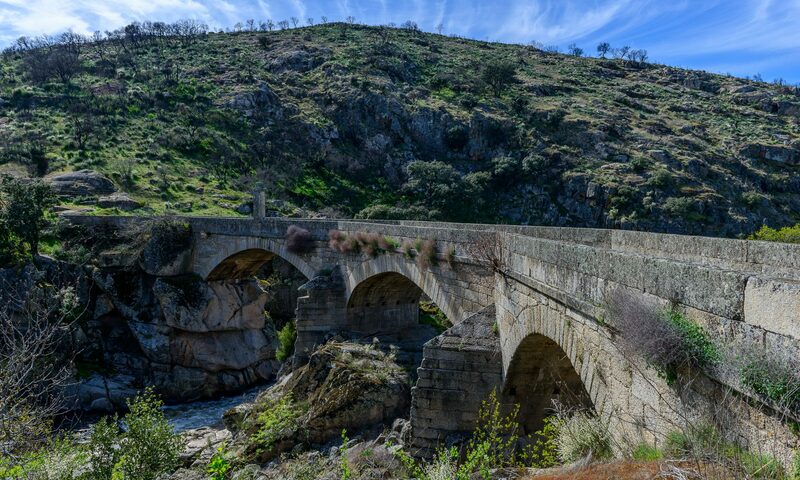 He felt an irrational urge to argue, to tell the young officer what he had seen and heard of in Italy and from veterans back from Europe but he did not. On this day, in this town, the Danish officer was right. 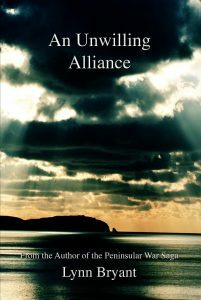 An Unwilling Alliance is the first in a new series following the fortunes of Captain Hugh Kelly but linked to the Peninsular War Saga and is available for kindle and paperback on Amazon.